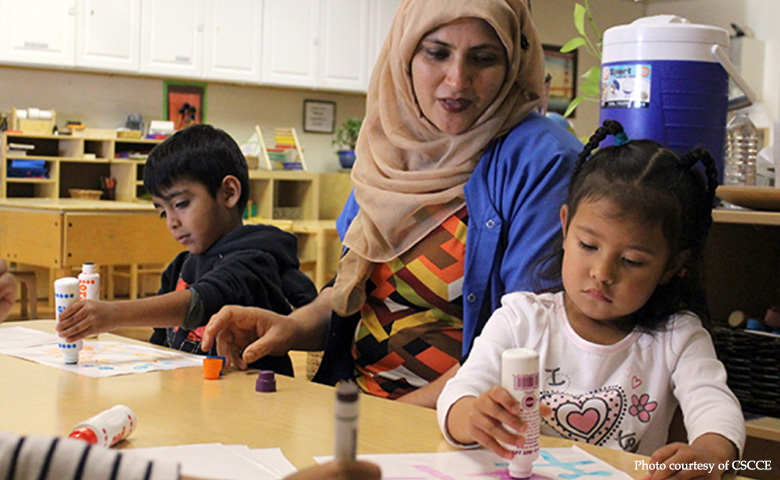 The Education program envisions an early childhood education (ECE) workforce that is well-prepared, appropriately compensated, diverse in its policy leadership, and supported. The long-term goal of the Stabilizing the Early Childhood Education Workforce initiative is to ensure that all professionals in the early childhood education workforce have the knowledge, skills, and institutional supports needed to effectively foster young children’s growth and development. Research indicates that improving a child’s academic and social-emotional outcomes requires high-quality interactions between teachers and students in developmentally and culturally appropriate learning environments––including preschool, child care and family child care, as well as other early learning settings and the early elementary grades. Creating strong and consistent requirements for the ECE workforce across geographies and program types. Building public and political will for ECE as a profession. Ensuring adequate compensation for the ECE workforce. Creating a diverse cohort of early childhood policy leaders who have deep knowledge and skills related to early childhood pedagogy, child development, public policy, and early childhood systems. Creating coherent state ECE systems that influence workforce development.